COPS attended to a crash scene in the early hours of Wednesday morning in Vosloorus, Ekurhuleni, and found that the driver of one of the vehicles was dead. He didn’t die as a result of the crash . . . The 25-year-old man was allegedly killed during a road rage incident. An argument apparently broke out between a taxi driver and the victim, who was driving a VW Jetta. Police said the incident happened after the taxi driver apparently skipped a stop sign and crashed into the victim’s car. 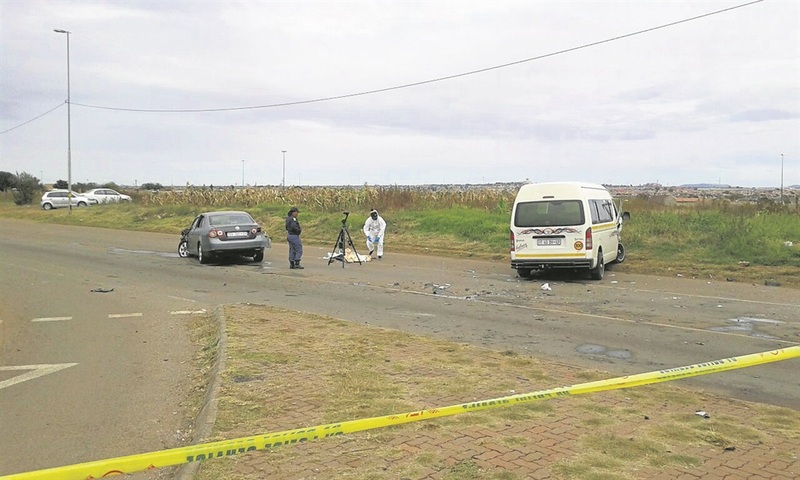 “An argument broke out between the two men and the driver of the Jetta ended up being fatally shot,” said Captain Piet Rossouw. He said the taxi driver was alone and the five people who were in the victim’s car were hurt. “Medical emergency services attended to the injured people and discovered that the dead man was shot in the chest,” said Rossouw. “He was declared dead at the scene. All the other injured were taken to a local hospital. Rossouw said a 30-year-old suspect was arrested.